HDC MidAtlantic announced today the acquisition of Exeter Senior Living Apartments. Located at 222 Schooley Avenue in Exeter, the apartment community features 46, one-bedroom apartments for adults age 62 years and older who have low- or moderate-income. HDC MidAtlantic acquired the apartment community, which was built in 1991, from Creative Developers, Inc. 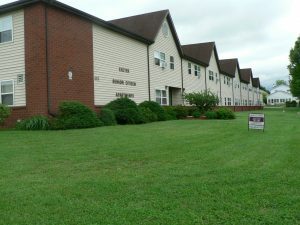 The acquisition of Exeter Senior Living Apartments is an expansion of HDC MidAtlantic’s services in Luzerne County, PA. In 2017, HDC MidAtlantic celebrated the grand opening of Heritage Point Apartments, a family community featuring 56 affordable apartments in Wilkes-Barre, PA.